School Travel Organiser finds out how a visit to one of the National Centre for Citizenship and the Law’s (NCCL) sites can benefit students studying English, History, Citizenship and more. The NCCL delivers hands-on legal education workshops in courtrooms at different locations across the UK: the Galleries of Justice Museum, Nottingham, the Royal Courts of Justice, London, the Civil Justice Centre and Crown Court, Manchester, and Bolton Magistrate’s Court. 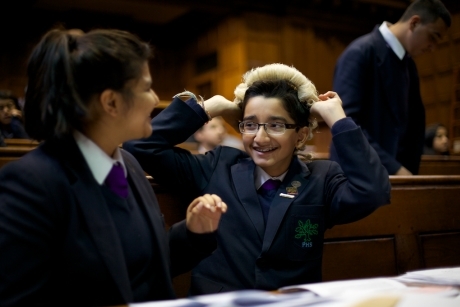 According to the NCCL, the most popular sessions are its mock trials where students, often donning wigs and robes and sitting in the judge’s chair, can learn about the legal justice system by taking on the roles of judge, jury, barristers, witnesses and defendants in a re-enactment of a trial. Led by a legal education specialist, the trial sessions – which, where possible, take place in a working court-room – are suitable for Key Stage 2 students upwards. Schools can choose from a variety of trial scripts depending on the topic of study. For example, Court in Session looks at contemporary trials based on real cases, such as cyber bullying or robbery. Complex topics, such as wilful murder and capital punishment, appear in activities for older students. Pupils will then discuss and debate the sentencing options for the accused. The Characters in Court session lets classes use a text they have been studying to enact trials based on the storyline. Texts which have been used during previous school visits include Holes, The Hunger Games and The Boy in the Striped Pyjamas. Alternatively the Court in Past workshop, which takes place in both Manchester and London, can be linked to the History curriculum as students re-enact a trial from the Victorian era. The History of Crime and Punishment activity, which also includes a re-enactment of a trial in a real courtroom, is available in Manchester and explores crime and punishment through time. It is a dual site learning session which takes place at the Greater Manchester Police Museum followed by either the Crown Court or the Civil Justice Centre. The sessions on offer and their itineraries vary slightly between locations so it is advisable to visit NCCL’s website to check exactly what each location provides. All sessions with the NCCL can be linked to studies in PSHE, English, Citizenship and History for Key Stage 2 through to Key Stage 4 and can also have benefits for GCSE and A Level students studying Politics and Sociology. In Nottingham the NCCL also delivers learning activities at the City of Caves. 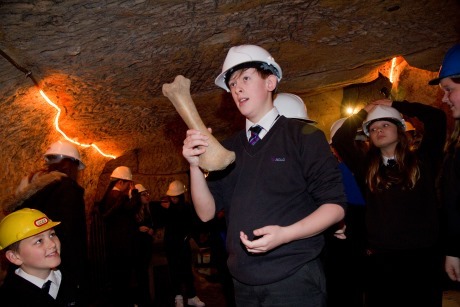 Pupils explore the historic sandstone caves under the streets of Nottingham and find out more about the social stories associated with them, including what they have been used for over time, who used them, and why they used them. A recently developed Key Stage 2 session that can be linked to the Geography, Science and History curriculums gets students creating map keys and studying the properties and formation of rock. As well as curriculum learning benefits, the NCCL sessions also aim to support crime prevention through a deeper understanding of the justice system, improve motivation and engagement by bringing subjects such as law and history to life, build confidence and self-esteem, whilst also developing critical thinking, debating and analysis. Where possible the NCCL also offers the opportunity for students to meet and talk to legal professionals, such as barristers or judges, giving them an insight into potential future career paths in law. Before visiting, teachers will receive copies of scripts for the mock trials along with teachers’ notes and a visit practicalities pack. Where possible, and upon request, the National Centre for Citizenship and the Law also offers free familiarisation visits for teachers. For more information visit www.nccl.org.uk.